Reginald joined HMS Barham from the Royal Navy School of Music on 3rd May 1938. Subsequently lost his life serving aboard the Barham when the ship was torpedoed on the 25th November 1941. William was born on 14th November 1912, to William Richard and Elsie Arscott, at Buckfastleigh. S. Devon, where he eventually became a member of the Buckfastleigh Town Band. 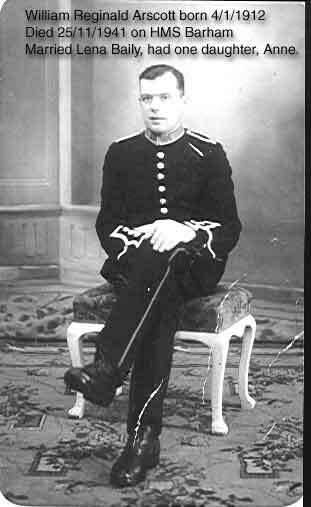 At the age of 20 years he enlisted into the Royal Marines in March 1933 and was transferred to the RN School of Music Kent, in June of the same year. On the 6th of April at Sandwich Kent, he married the love of his life - Lena Baily. 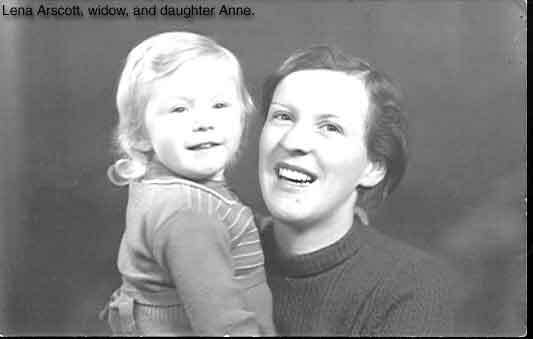 In 1937 they had their only child - a daughter Anne. Like so many widows, Lena never quite got over her husband's death. She died in 1976, Sadly Anne passed away in 1998.